Aidlink Limited, an Irish charity committed to transforming the lives of very marginalized African communities, has announced it has won awards at both the Institute of Chartered Accountants Published Accounts Awards 2018 and the Good Governance Awards 2018. Aidlink also won Awards from both these organizations in 2017. Aidlink CEO Anne Cleary commented ‘As a charity, and as an organization that works solely through African partner organisations, good governance is key for us, as we demand high governance standards of our partners and of the work we do together’. Aidlink Treasurer Liam Byrne said ‘These awards don’t just reflect the quality of the financial reporting, they also reflect the Annual Report’s communication of Aidlink’s unique model, which transforms the lives of the communities with which we work. Photo: Liam Byrne, Treasurer, and Anne Cleary, Executive Director accept the 2018 Good Governance Award. 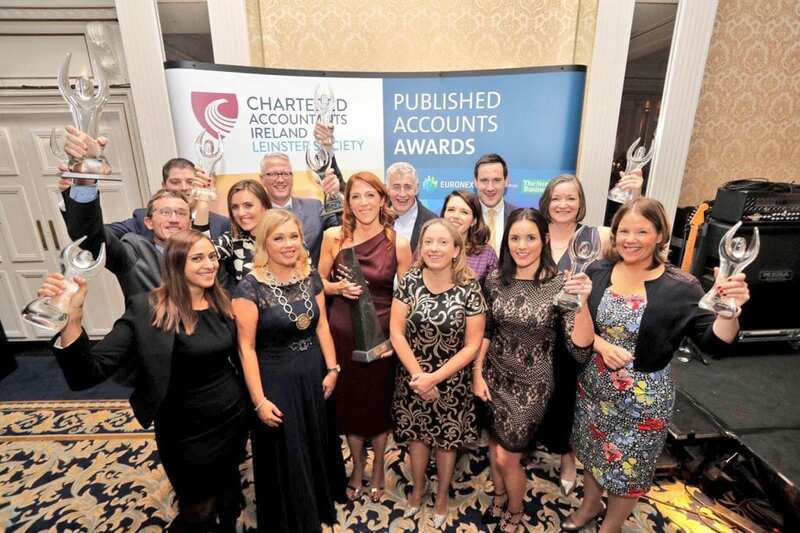 Anne Cleary, Executive Director with the other category winners at the Chartered Accounts Ireland Published Accounts Awards.